We are getting our pork on, thanks to Smithfield! All recipes and opinions are my own, so enjoy, and thank you for supporting the sponsors who support A Simple Pantry! 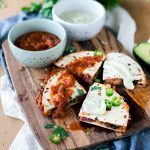 If you’re looking for some unique easy Mexican recipes, then I definitely have you covered with these scrumptious Cheesy Black Bean and Pork Carnitas Quesadillas! They are soooooooo easy to make. Like crazy easy. Easier than my cornbread waffle sliders. The nice thing about cooking a lot of Mexican food in my house is that I tend to always have delicious sauces to serve everything with. 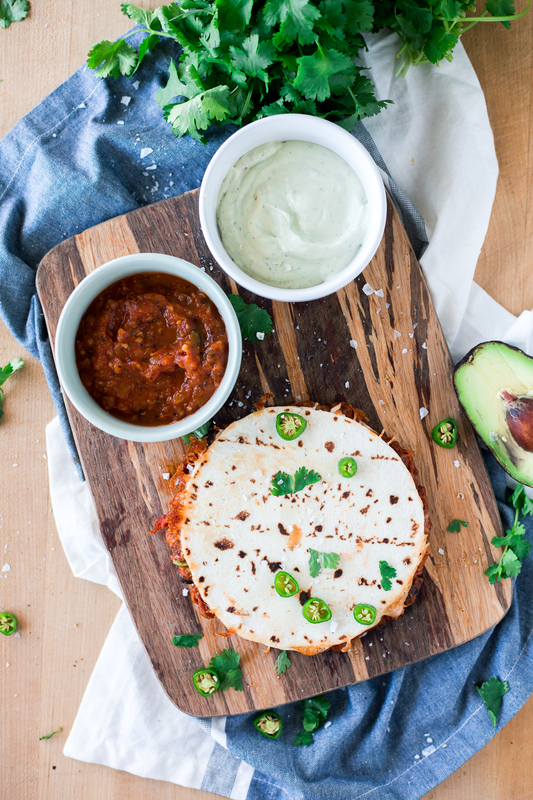 Throw down some homemade chile, or ranchero sauce, or even some avocado crema, and we are talking about foodie heaven right there in yo mouth. Just look at that beautiful pork. 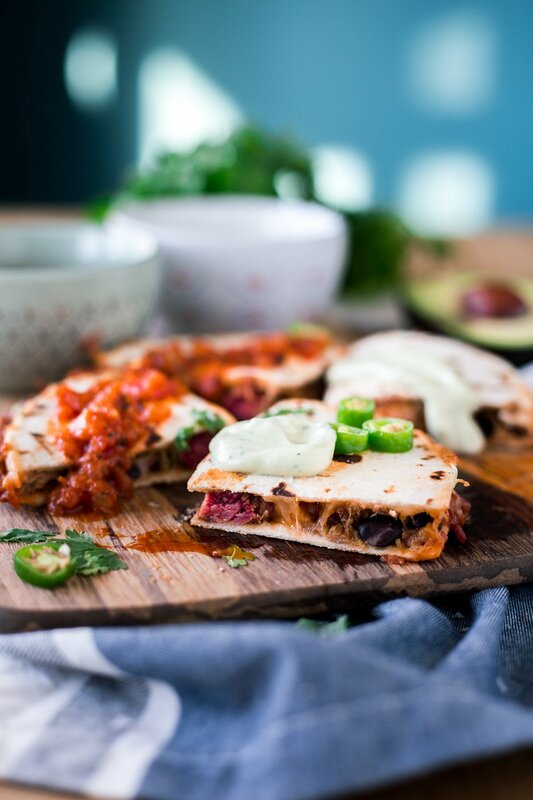 So tender and flavorful and perfect for quesadilla amazingness. I simmered the black beans in a bit of chile to lend some additional flavor and heat, and then topped everything off with melty Queso Oaxaca. I may, in fact, be drooling over here. I really like to heat my quesadillas on a comal, because I go a little bit insane when I use a pan too small and it makes my quesadilla all curvy and wonky, or I use one too large and end up with extra cleaning to do. Plus, it’s a quintessential instrument in a Mexican kitchen. What I really love about Smithfield’s Boneless Pork Shoulder Seasoned Carnitas is that the flavor is super authentic without me having to go out and spend a ton on all the extra ingredients and produce to make it. So when I’m needing some easy Mexican recipes, Smithfield has my back. 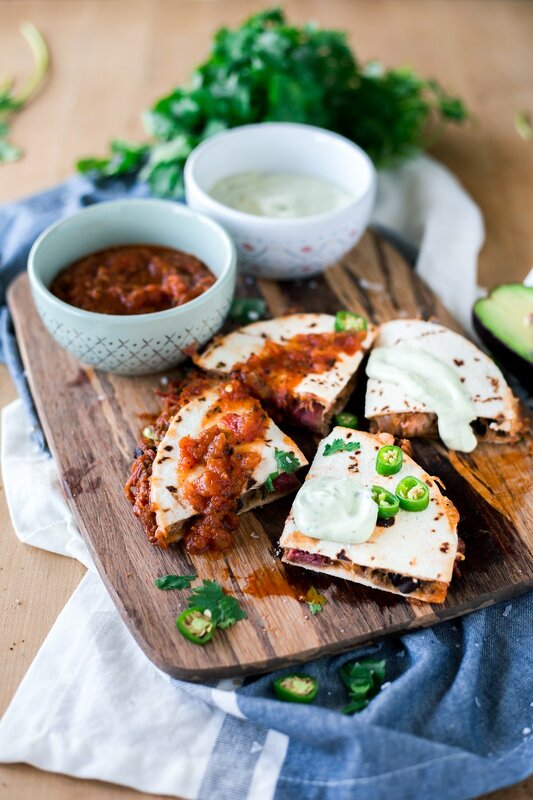 If you’re looking for additional recipe inspiration, you can check out my Herbed Mayonnaise Roasted Pork Loin, Teriyaki Pork Wonton Tacos, and a few other choice recipes I’ve made with Smithfield! Place pork carnitas in a 3 to 4-quart slow cooker. Cook on High 4 to 5 hours, or on Low for 8 to 10 hours. Remove carnitas from cooker and discard juices. Use tongs or two forks to shred and pull apart the pork. Heat a comal over medium heat. On one flour tortilla, spread 1/2 cup of the cheese, followed by 1/3 cup of shredded pork, 1/4 cup of black beans, and 2 tablespoons of chile. Top with additional 1/2 cup of cheese and one more flour tortilla. 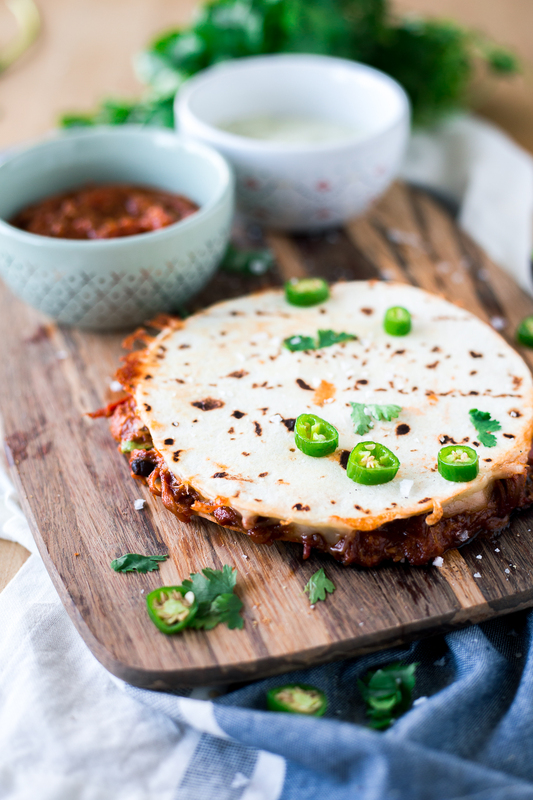 Place quesadilla on the comal and cook until the cheese is melted and the tortilla is dark brown and crisp, flipping halfway through, around 6 minutes. Repeat with remaining ingredients. Enjoy immediately. 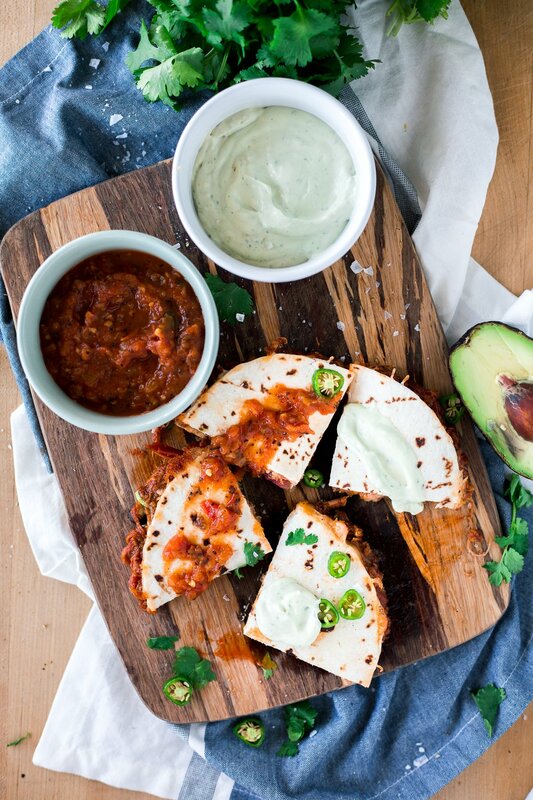 If you can't find any Queso Oaxaca at your local grocer, you can easily substitute any soft cheese, such as Monterey Jack, Cojack, or Cheddar. 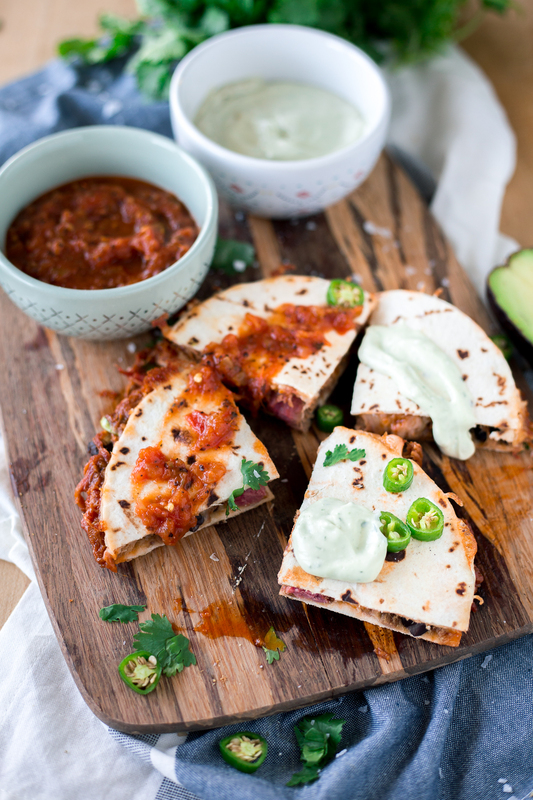 These quesadillas look so delicious!! I may have to bust these out for the Super Bowl next week.